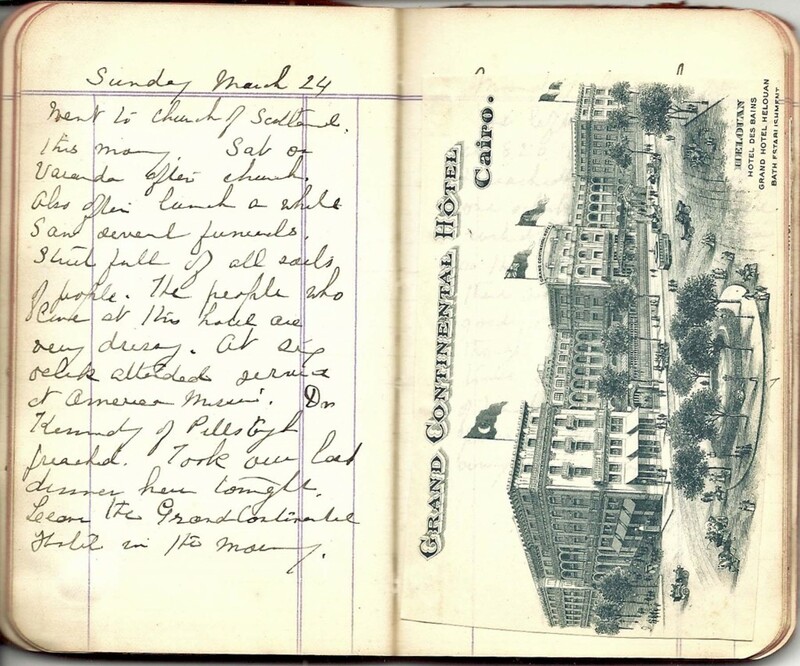 From the unpublished diary of Mrs Charlotte Riggs of Cincinnati, Ohio, USA, who with her husband Reverend Alexander B Riggs sailed from New York to the Holy Land in 1907 aboard the White Star Line steamer Arabic. 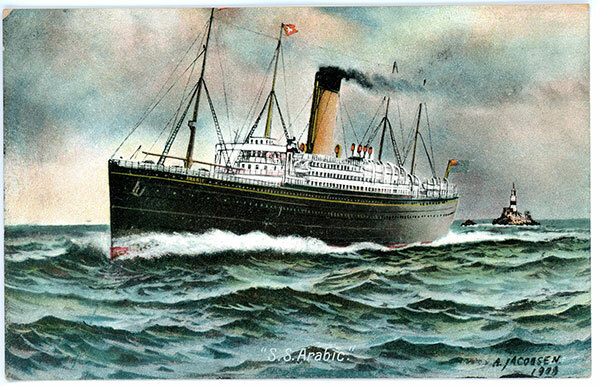 Launched in 1902, the ship was only in service thirteen years before being torpedoed and sunk by a German U-boat on 19 August 1915. It was used mainly on Atlantic crossings between Liverpool and New York, but was also used for Mediterranean winter cruises. The ship berthed briefly in Alexandria to allow passengers to make an excursion down to Cairo. 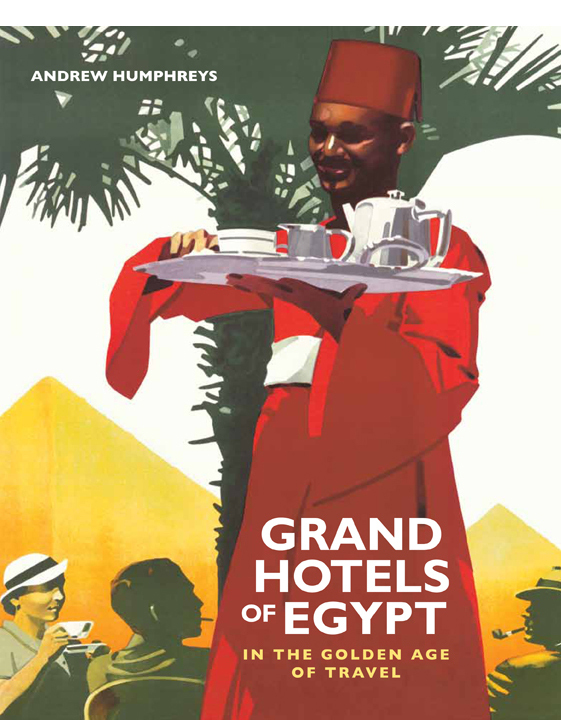 We left the boat this morning & took a ride in the steam cars, reaching Cairo about 2 PM. We have a fine room with bath. Took a walk, sat on the hotel veranda & then dressed for dinner. ‘Tis lovely here. To think of my being in that terrible Jerusalem, making my trip, at least this part, so unpleasant, but ‘tis past now. We made to Pyramids through a lovely road lined with large trees & along the river Nile. We crossed the river twice on five bridges. Saw the Sphinx. Saw Coptic church, Old Cairo, Nilometer, place where Moses was found, Mosque & Citadel, Bazaar. Took a walk in morning, afternoon drove to Bazaar. Took tea with the Warthys. Buchanans called last evening. Went to Church of Scotland this morning. Sat on [hotel’s] veranda after church. Also after lunch a while saw several funerals. Street full of all sorts of people. The people who live at this hotel are very dressy. At six o’clock attended service at American Mission. Dr. Kennedy of Pittsburgh preached. Took our last dinner here tonight. Leave the Grand Continental Hotel in the morning. 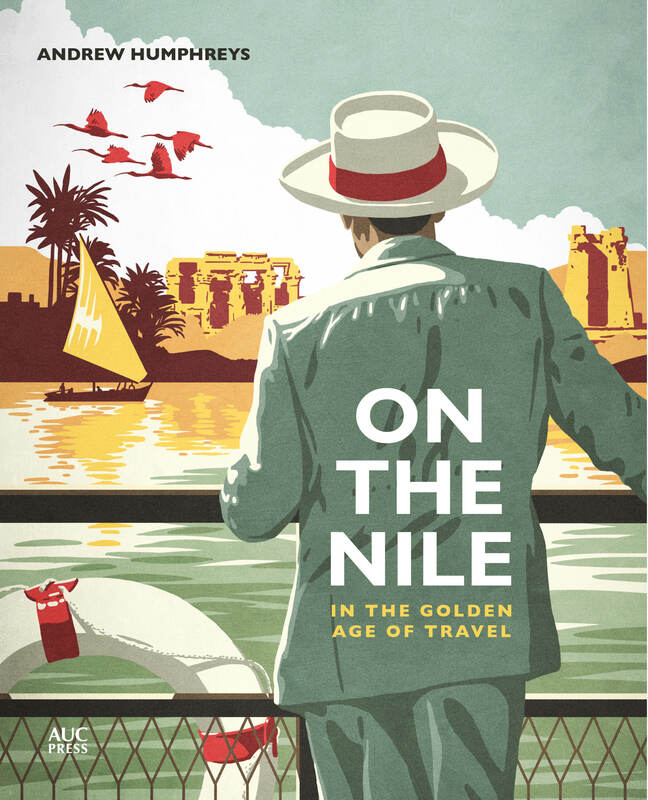 We left Cairo this morning at 8:20 by steam cars & reached the boat about one o’clock safely. We were rushed through Alexandria as they have smallpox there, we hear. It was good to get back to ship though we had a lovely time at Cairo. The greeting of friends on the boat was pleasant after my being away twelve days. 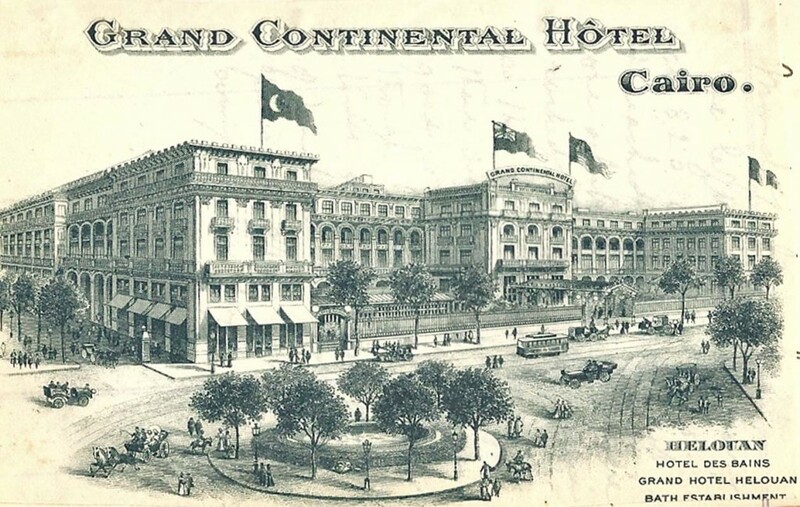 The hotel in which the Riggs stayed was the Grand Continental on Opera Square, which some years later would change its name to the Continental-Savoy. Thank you to Charlotte’s great-nephew Douglas Brookes for sending me the images and the diary extract.